Blistering speeds in a completely potent .22 long rifle varmint ammo. Never before could you feel secure in every shot at distance with a varmint in the sights and a .22LR in the chamber. Now you can. Every time you shoot this flat shooting .22LR it will hit what you’re aiming at, with lethal impact. 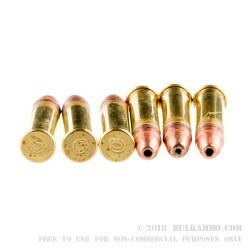 The 32 grain projectile moves out of the barrel at 1640 fps, which is nearly untouchable by standard .22 rimfire rounds that aren’t custom built for varmint. The deadly 190 ft. lbs. of energy help propel this to the forefront of the value side of the rimfire varmint market. Flat, fast and deadly, you will remember shooting these long after your day killing groundhog, squirrel or coyote, or whatever other varmint you’ve got your heart set on. 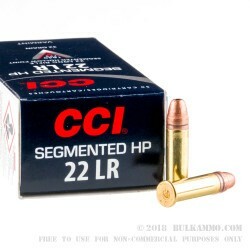 The CCI Segmented .22LR is a high performance Long Rifle load that blows the competition out of the water and delivers performance unlike anything you have ever seen out of your old plinking rifle. There really is no comparison without moving into specialty rimfire rounds. 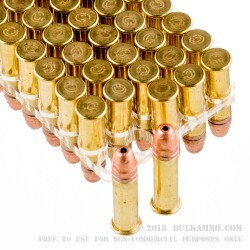 Due to the nature of the round, this is a particularly hot load and may not be suitable for all firearms, it is custom engineered for long range rifles that can handle hot loads. Suitable for use in bolt actions and semi autos, given they are capable of handling such hot ammunition.